This is a story about a girl and her stickers. Amy (anonymous) used to love the stickers given by teachers in class. But since the day Amy''s mother has bought her plenty of more beautiful, shinier and bigger stickers, Amy now cares less the stickers given by teachers. There are different rewards that teachers use in class but eventually what value are we teaching the children? We encourage children to do better by rewarding them. Perhaps we want to eventually teach our children that the reward to a thing well done is to have done it! 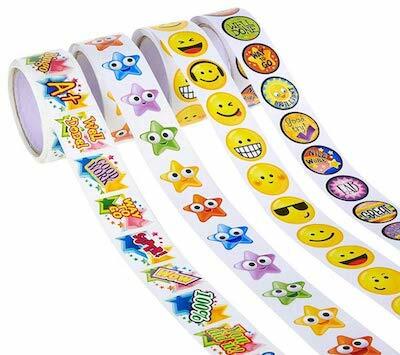 Children love to be rewarded with stickers for good behaviour. But there is a small group of children who quickly lose interest and appreciation for the stickers given in class. This group of children, most of them, have been given a lot of more beautiful and bigger stickers at home. It's important that children learn to appreciate reward after they work hard for it. Shelter, food, clothes, transport, clean water and other basic needs are the children's physical needs. Love, care, emotional wisdom, time, understanding, trust, role examples, and patience are your children's mental needs. The free flow of rewards without proper guidance, to a certain extent, devalue appreciation. In fact, we should always teach our children that the reward to a thing well done is to have done it!